We are pleased to welcome Todd Arnison to the E3 Consulting team. 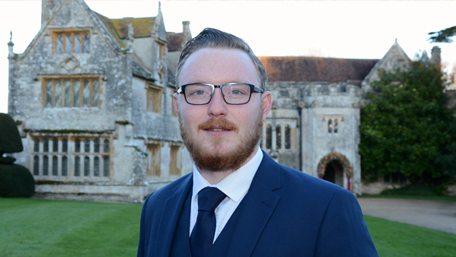 Todd has recently joined E3 Consulting as a Property Tax Surveyor and is currently undertaking a Chartered Surveyor Degree Apprenticeship. This involves completing a BSc (Hons) Quantity Surveying degree, through day release at the University of Portsmouth. The apprenticeship is a good way to be becoming professionally qualified and combines learning on the job by applying knowledge with his Quantity Surveying studies, alongside technical, personal and professional development skills. Knowing that in order to progress in his future career he needed to invest in further educational qualifications to climb up the career ladder, Todd felt that undertaking an apprenticeship would be the perfect opportunity for him to combine work experience alongside studying at University. Thus enabling him to achieve his career goals; learning something new and be challenged through the academic studies, whilst underpinning this all with real experience. "Working at an SME like E3 Consulting has opened my eyes to many different parts of business that I had not been involved in before. The importance of a collaborative working culture and learning ethos and mindset really helps to drive the business forward and constantly challenges all of us, on a daily basis to achieve our best work. I have not worked in an office, or professional services firm before, so having people who discuss and give to me constructive feedback in a friendly and supportive manner on what I am doing well, what areas I need to improve and what I am doing particularly well is enlightening, practical and through. The constructive feedback I receive supports my effective induction into business so I am quickly getting up to speed & being productive both directly within my role and equally for the business early on.